We get you activated fast! LIBERTY Dental Plan has been providing and administering dental benefits for over ten (10) years. 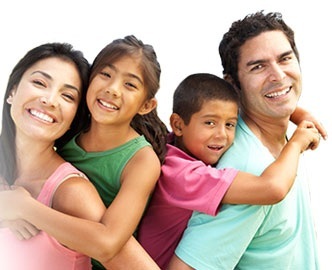 Dental Benefits should be simple to use for you and your family. Our plans offer comprehensive dental coverage without claim forms, deductibles, or annual maximum limitations. LIBERTY Dental Plan contracts with quality dental professionals to provide services to you and your eligible dependents at no cost or for low fixed co-payments. We take pride in our relationship with our dental professionals. This relationship enables our members to receive the care they deserve when enrolling in our plans. All of our contracted providers have undergone strict credentialing procedures, background checks and office evaluations. In addition, each provider must adhere to strict contractual guidelines. Our Provider Relations Department conducts a Quality Assessment Program which includes ongoing contract management to assure compliance with continuing education, accessibility for members, appropriate diagnosis and treatment planning. Our goal is to provide you with comprehensive dental benefits. We pledge to support your choice of LIBERTY Dental Plan by giving you confidence through the excellent customer service you deserve. After all, isn’t that what it is all about!